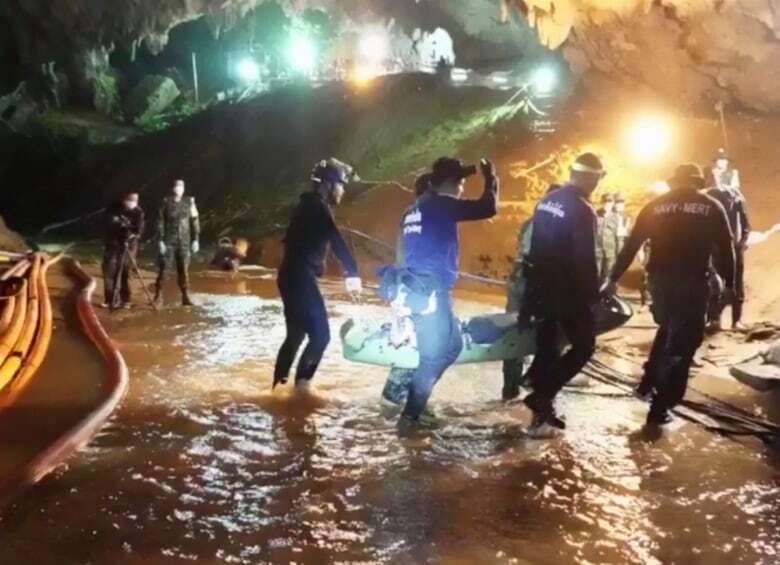 The 12 young soccer players and their coach who were rescued from a cave in Thailand only intended to stay in the underground complex for an hour, but they had to move further into the cave once it flooded, according to the father of one of the boys. The boys planned to explore the cave for just an hour, a casual jaunt to relax after soccer practice, but the waters rose. The teammates climbed higher, using their hands to feel the walls for a crawl space that would lead to safer, higher ground. Those handprints were among the first signs of where the boys were, what they had done to escape the floods, and what dangers rescuers would face in their mission to save the boys and their coach. The now-recuperating boys and the rescuers who brought them to safety are starting to share stories of the dangers and their survival. The hospital in northern Thailand where the 12 boys and their soccer coach are quarantined said Friday they are basically healthy, aside from some minor infections. A psychiatrist said their mental state seems fine. Family members, first able to reunite with them only through a glass window, now can meet face to face though still not touch, to ensure any illnesses don't spread. 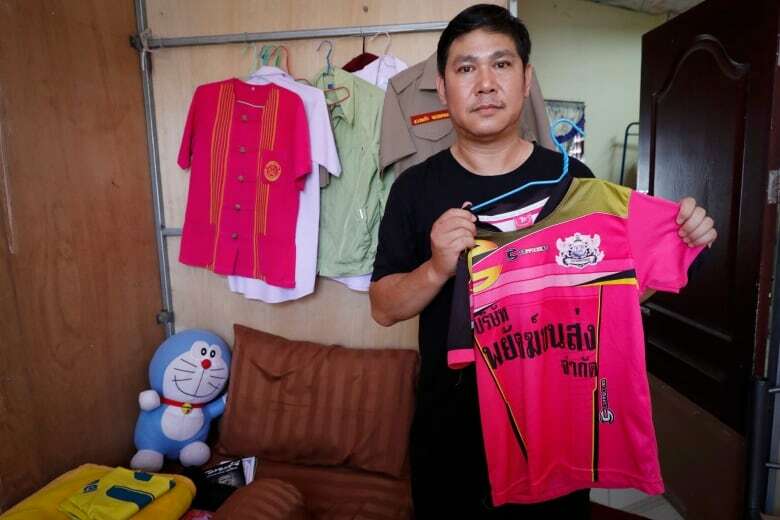 "I will tell Dom that he has to thank all the Thai people from all over the country and people from all over the world who were kind enough to come and help Dom. Without the [Thai navy] SEALs, the officials, and everyone who came and helped, Dom wouldn't be here today. He would not be seeing his Grandma, and Grandma wouldn't see his face again. From now on, Dom will have to be a good person." 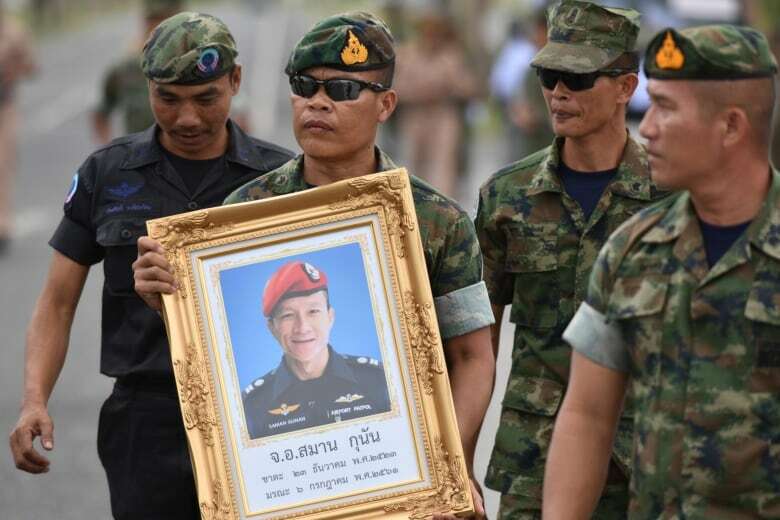 "After the first three nights with no food in the cave, my son felt extreme hunger and cried," Aikhan Wiboonrungruang told the Bangkok Post. "He had to rely only on water dripping from the rock. It was very cold at night and pitch dark. They had to lie huddled together. 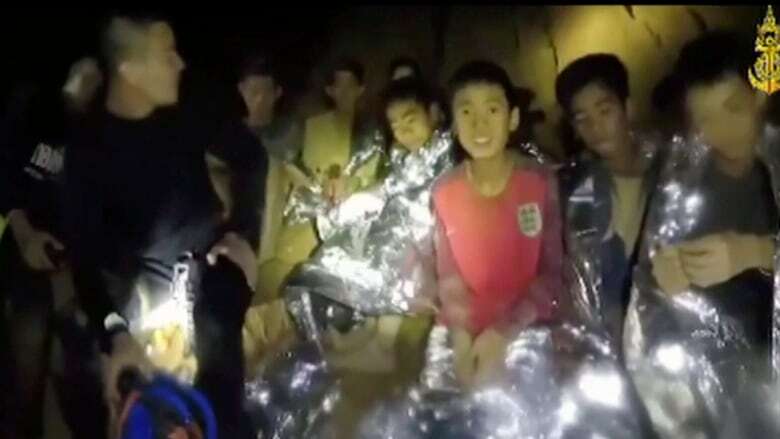 She said her son, nicknamed Tun, said the boys' 25-year-old soccer coach Ekapol (Ake) Chanthawong, told them to meditate to ease their hunger and save their energy. "As they were coming down the slope, we were counting them till we got to 13. Unbelievable," he said. "They looked in good health, but of course when we departed all we could think about was how we were going to get them out. And so there was relief tempered with uncertainty." "I have never seen anything like it with man battling to control the natural forces of the monsoon waters. Local climbing and rope access workers rigged the dry cave section for that part of the rescue and scoured the bush for more entrances to the cave. Drilling teams attempted to get through nearly a kilometre of rock to the boy's location. And all this time 4 brave Navy Seals sat with the Wild Boars knowing they were in as much danger as the kids."